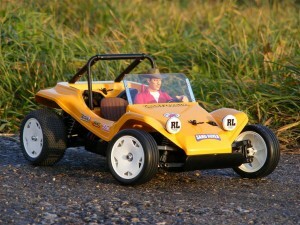 Here it is, the Tamiya Sand Rover 2011. 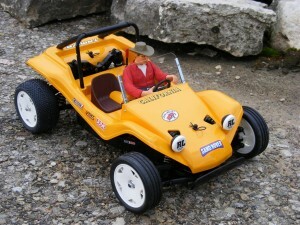 A car, or I better call it a dune buggy (because it is the real dune buggy!) 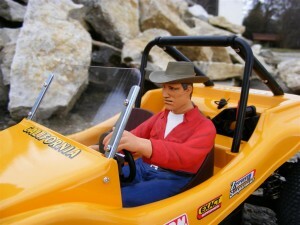 Tamiya fans waited so long for. 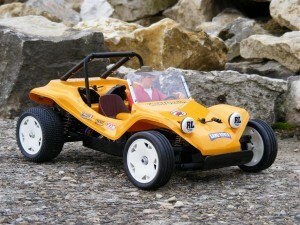 After the Holiday Buggy 2010, Tamiya does the next step and releases one of the most popular Tamiya off road cars ever on the famous and solid DT-02 Chassis. 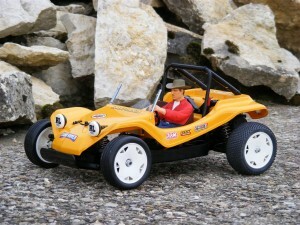 As mentioned before, the modified Sand Rover body sits now on the modern DT-02 chassis which is well known from the Tamiya Desert Gator , Sand Viper , Neo Falcon and of course the Holiday Buggy 2010. 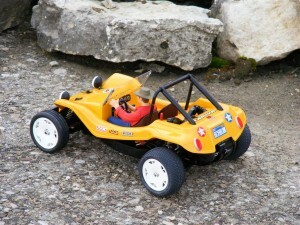 The car is meant as a real beginners car. So it comes with a classic RS380S Motor as standard which is perfect to do the first steps into this wonderful hobby. But you can easily change that to a 540 sized motor. Our car is equipped with full ball bearings – Tamiya CVA oil filled shocks – high torque servo saver – Desert Gator wheels and front tires and Tamiya pin spike tires on the rear for that extra piece of traction on the track. Also a mild brushless system is used which is comparable to a 27 turn brushed motor but much more efficient. For the body we chose a warm Tamiya TS-34 Camel Yellow, a colour I love, because it transforms the Sand Rover directly back into the 70’s. 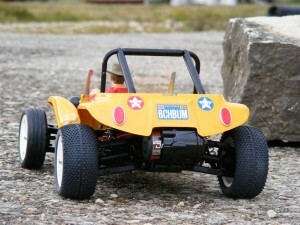 This entry was posted in Customized Builds, Reviews on December 2, 2011 by dunebuggy. Congrats, this is close to what I plan to do on my “contest-winner” Sand Rover. I hope I’ll be able to paint the bars in something like chrome metal or Alloy. Rear tires are already on my Madcap when put on shelf. I’ll use old XTR Proline instead. I’ll use a Stock 540 brushed motor, but I’m not sure what kind of pinion I have to buy. Can´t wait to see your version of the SR11. Maybe it´s possible to paint the bars in something like anodized aluminum. I think chrome paint like alclad doesn´t work with this material. XTR Proline tires are a good choice, and the stock 540 brushed motor will do the job perfectly. 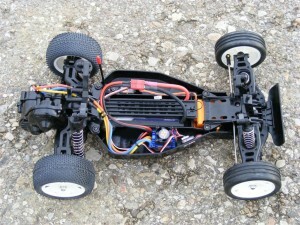 I´ve switched to the brushless setup only to test such a system. 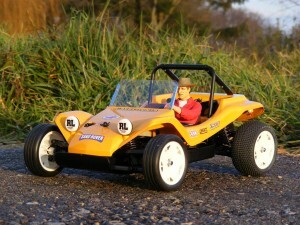 As i plan to use such a mild combo in a non military version of the Tamiya FAV 2011.